You are here: Home / Cable Pulling Winches Blog / Cable Drum Trailers / What Is a Cable Drum Trailer? 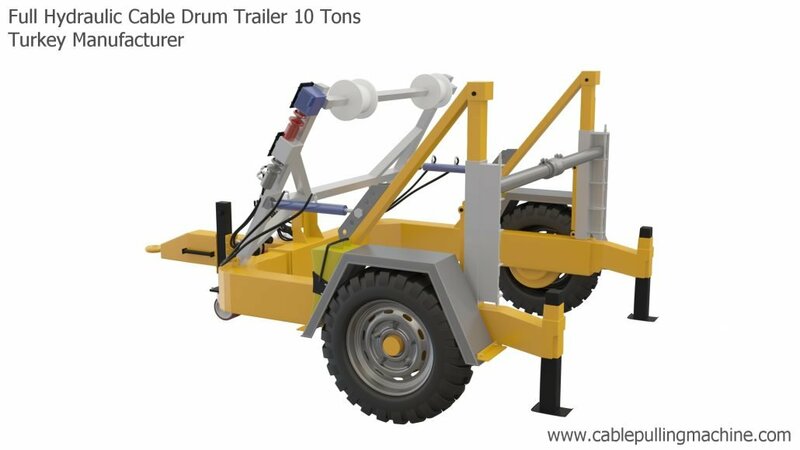 What Is a Cable Drum Trailer? A machine cannot work alone if not supported by a support system that is either another machine or a person or a programme. 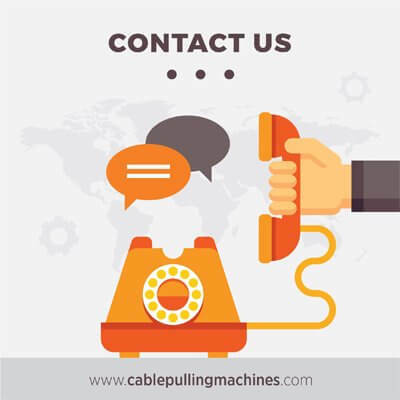 Cable Pulling Machines also need the support of cable drum trailer also more commonly known as the cable laying equipment. It is useful equipment as mostly it is used in supporting the cable-Pulling machine while installing cable lines overhead or underground. As the name suggests, a trailer is basically a car that trails behind and is connected to the machine to make the operations handier and also to carry the machine over long distances. It is important to note the trailer size and the machine size so that both can work without and hindrance. Using a trailer also takes care of extra safety measures and the operator gets a better working opportunity. It is cost effective and safe to use, cable drum trailer. There are two types of Cable drum TRAILERS- the Highway Range and the Site Range. Both types are much in demand these days with the growing need of lying down of cable lines. The Highway Range is well equipped with braking and road lightning systems, which in turn also conforms to EEC directives. Designed to travel heavily loaded along all the UK roadways and other European countries, these also come in variations to maintain county requirements. Cable Drum Tariler, These drum trailers are also fitted with standardized hydraulic hand pump operated lifting and lowering systems. It makes drum handling safe and easy and the mechanical locks also ensure drum security in transit when the drum is raised. The other Range that is the Site Range drum trailer that is mainly used off road and is fitted with braking system, hand parking facility and some vehicle lights. This range sometimes also has some additional features like that of the Highway Range. It can take up a maximum payload of 48,000kgs. All safety measures are looked into and all machines come with a guarantee of two years, cable drum trailer. 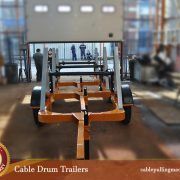 https://cablepullingmachines.com/wp-content/uploads/2015/12/Full-Hydraulic-Cable-Drum-Trailer-10-Tons-Manucafturer-Turkey-2.jpg 1125 2000 erkan1095 https://cablepullingmachines.com/wp-content/uploads/2017/03/cable-pulling-machines-logo-1.jpg erkan10952017-01-18 11:32:502017-08-21 12:53:52What Is a Cable Drum Trailer?